Treat yourself to a unique and custom iPhone 6 & 6S cork case. Cork cases prevent unwanted and unexpected scratches on your device. Your photo printed smoothly on the cork surface! Cork has a unique structure and composition. Everyone knows that cork is used to close a bottle. However, not many people also know that cork is excellent for protecting your phone. The very flexible and practical material is great to prevent scratches for everyday use. Cork feels great in your hand due to its unique structure and composition and ink goes prints very well on it too! For the inside of the case, we use a fine plastic material. Additionally, the subtle finish on the cork edges of your custom phone case ensure protection all around! The sleeve is very use to use and is perfectly made for the iPhone 6(S). Your device’s functionality won’t be limited because we’ve created openings in the case where all the necessary buttons, speakers and ports are, so you can easily listen to music while knowing that your smartphone is protected.custom iPhone 6 and 6S cases! A custom phone case made of cork with your own unique design! Using our user-friendly editor, you can design a truly unique iPhone 6 (S) custom phone case. In our editor, it’s possible to upload any type of photo that you want directly from your PC, Facebook or Instagram. You can make it as wild as you want and add your own text or favorite quote. There’s no limit to what you can create! If you make a personalized iPhone 6 (S) phone case, you should always consider the 3mm margin! If you don’t have any ideas of what image you can use on your order, feel free to take one of our popular designs! A custom iPhone 6 (S) case is not only fun to design for yourself, but would make for a great gift! A custom cork phone case, like never seen before. Do you think that hard cases and wallet cases are too ordinary? Are you looking to take it to the next level? 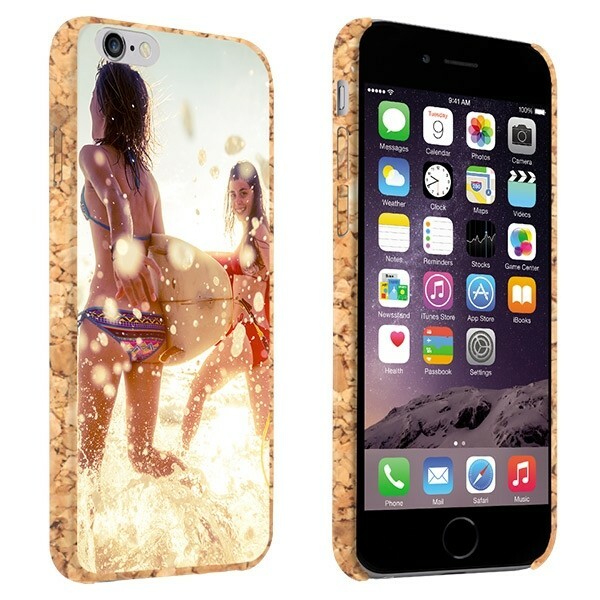 Then a personalized iPhone 6 (S) phone case made of cork is definitely the product for you! Using advanced printing techniques and high quality ink, we print your design as sharply as possible. When we work, we produce cases with enthusiasm and care to get you the product that you deserve. We also try to complete this process as quickly as possible so you do not have to wait around very long. Shipping is fast and reliable and your custom phone case will be sent out using regular mail directly into your mailbox, meaning that you will not have to wait around at home for your order to arrive. Still have some questions about your cork case? Simply contact our support team at support@gocustomized.com and they’ll get back to you with an answer as soon as possible!